Four WBG members got together Tuesday evening for a private in-home yoga class. The instructor tailored our class to be suitable for beginners and to be more restorative and relaxing, per our request. We enjoyed getting together outside of a business setting, hanging out in yoga pants and t-shirts (the absolute BEST). 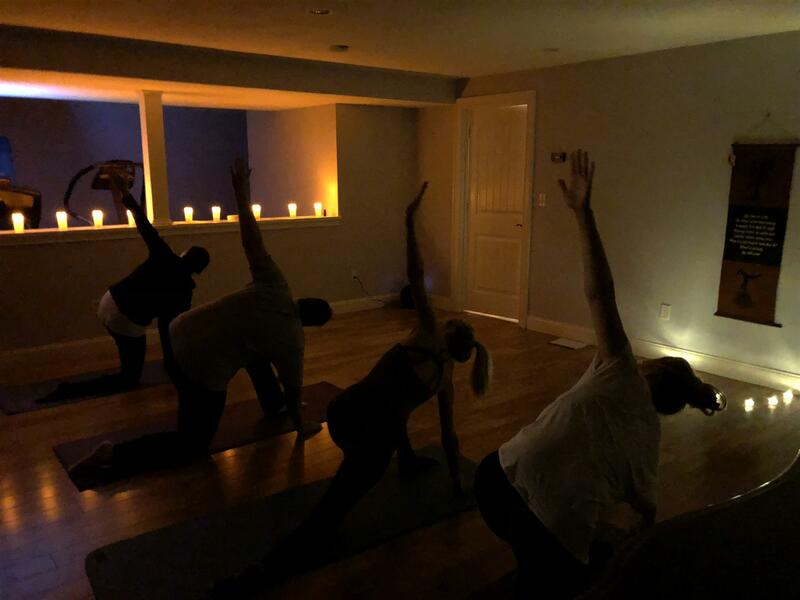 The spa yoga class was 60 minutes with the perfect balance of muscle training and stretching, ending with a mindful piece that allowed us to truly unwind. It's amazing how nice it is to just breath and be- a reminder we can all use regularly! We all agreed this will need to be a reoccurring event for members.